Happy Friday & Welcome to the Farmgirl Friday Blog Hop! It has been a busy and fun week. We started with a three day weekend in Cincinnati celebrating my hubby’s birthday AND simply relaxing. After our kitchen project we took some downtime. Even though we were traveling we spent a lot of time sleeping, playing Yahtzee and watching basketball– some of the things we haven’t done much of lately! It was so much fun. Midweek we had church activities and this is my first full week back to work full-time in a few months. So it has been a good week but it has flown! How about you? We had some fun blog entries last week. A new one that I noticed and loved was Farm Life in the Italian Mountains. She is living my dream life! Wonderful blog and pictures also. Take a little time today and visit Italy with Chandra. Thanks Chandra for posting! So you may not be in Italy this week but you are probably doing something interesting in your world! Take a few moments and share what you are up to. This is a blog hop so join in and have a great Friday! Happy Friday and Happy Farmgirl Friday Blog Hop! It is a beautiful day in the neighborhood! We have 70’s today and I will enjoy because storms are coming tonight and we see 20’s and 30’s again over the weekend. February weather always leaves you guessing! I planted my first green babies this week. That makes me giddy! We also finished our kitchen! This has been a 2 year project. We totally gutted it, hubby made most of the cabinets, we moved doors and windows and well it has taken us awhile. BUT Tuesday we got the last of the countertops! I will have to share some before and after pics in an upcoming blog. It is wonderful and was worth the work. 90% of the time the work was fun to do together. And we have survived a couple of these kitchen remodels now so our marriage must be rock solid! OK— last week there were several great entries on the hop. BUT how can you resist chocolate chip cookies that someone has made THREE times in a week. Oh yes they must be good and we all must try these! Thank you Tami from A Creative Homemaker for sharing! Let’s get hopping shall we? Have a great weekend whatever you do! I am happy to journey with you again this year; so glad you are here. Spring is coming! Tulips popping through are a good sign. I bought organic compost this morning and I am ready to start seeds this weekend. Does it feel like spring this morning in your neck of the woods? What are you up to? How’s your crafts? Animals? Let’s go to hopping so you can share what you are up to! We finally got a dusting of snow this week. It has been a mild winter so far. I say that knowing that Feb and March can bring some winter storms so I am not counting us home free yet! We have been remodeling our kitchen for almost two years now. We are on the back end and almost done! We completed our peninsula last night and it is waiting the granite top. It is due to be installed on Feb. 21! I am beyond excited to see the completion of this soon. You can see I have already started playing around with what I might want on it. After the top is one I will post pics of the entire thing. What are you up to? Have you started any seeds yet? I am about 10 days out from starting that. How’s your crafts? Animals? Let’s go to hopping so you can share what you are up to! Welcome back to our friends here and welcome to all that are new! I can’t wait to see what you are up to. Last week I shared that I was doing an inventory of seeds. Inventory = order more seeds (of course). I got them all this week! I am very, very excited. In a couple of weeks some of these will get their start under the grow lights. 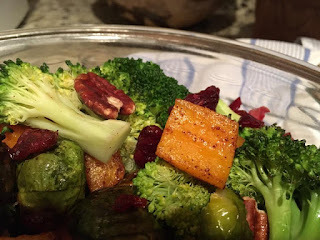 Last week on the hop EmmaFrancisathome shared her meal plan. I love meal planning and using ingredients on hand and only buying what is missing. Less waste and a plan after a busy day is ALWAYS helpful. Check out her menus; plus she has a link to previous week’s plans. Thanks for sharing your blog! Let’s get to it! Please join the hop! If you garden like I do, this is the time of year that you are leafing through seed catalogs and surfing the web for seeds and well more seeds! I have finished up my seed inventory and have marked the items I need more of. Next step is sitting down with some tea and catalogs! Yes that is a spreadsheet in Excel. You can’t take the geek out of a gal! What are you busy with this week? Brag a bit (or a lot!) on yourself and share your blog and pictures! If you are returning, welcome back. If you are new, I am so excited you have stopped by. I have been dreaming of spring and summer gardening all week. I LOVE all my seed catalogs. How about you? Last week on the hop there was the most beautiful piano table! Did you see it? If not you must check this out from Repurposed For Life. Isn’t it gorgeous? What have you been up to this week. Please share a blog or two!! !